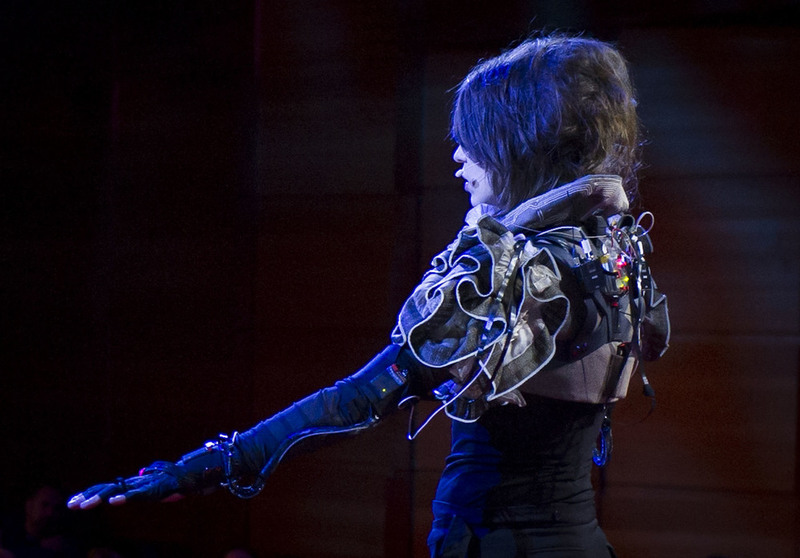 A sound-reactive illuminated bolero, custom made for Imogen Heap's "Me, The Machine" Performance in 2012 which used a prototype version of the mi.mu gloves system. 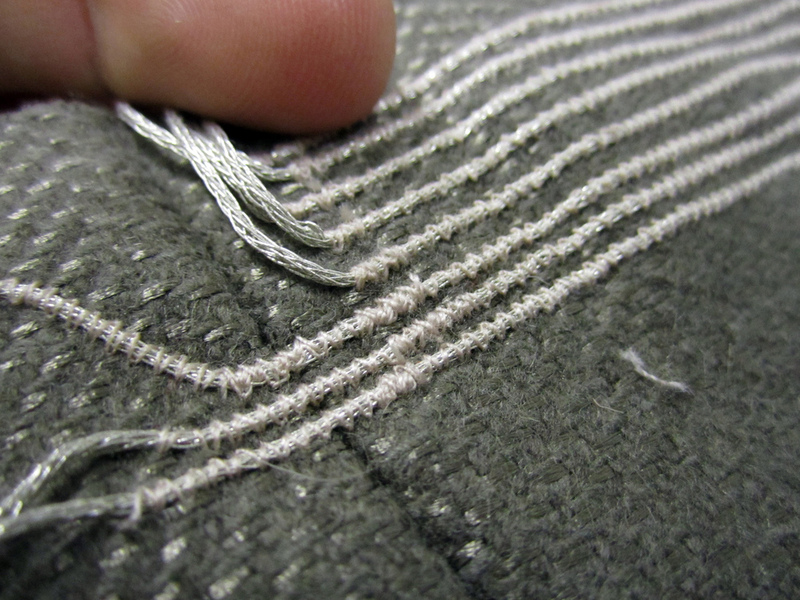 The circuit is sewn from antique conductive thread and surface-mount LEDs are soldered directing to the thread traces. Three Arduinos control up to 20 LEDs each, making more LEDs flash on, the louder the volume of sound. Volume is detected via an external microphone signal analyzed by software. Volume information is then forwarded to all three Arduinos at once. The Arduino themselves determine random lighting patterns dependent on incoming volume information. The bolero was integrated to respond to the wrist mounted microphones in Imogen's glove system, creating a visual response to her performance. 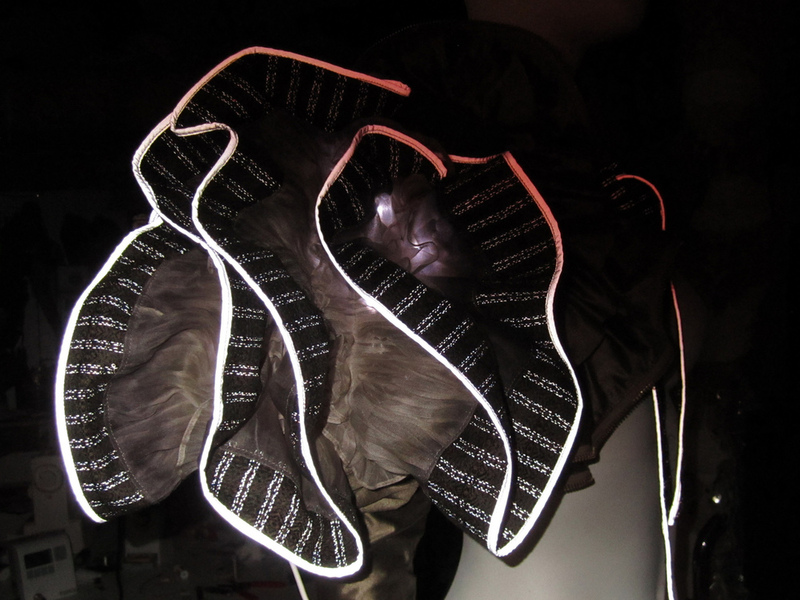 Soft light is generated from within by the diffused LED's hidden in folds of hand dyed chiffon, while the bolero also responds to external stimuli. Dramatic flashes of light are created by reflective material on the outer edges of the ruffles and from threads of reflective yarn woven into the Dashing Tweeds Lumatwill fabric to reveal an entirely different silouhette. 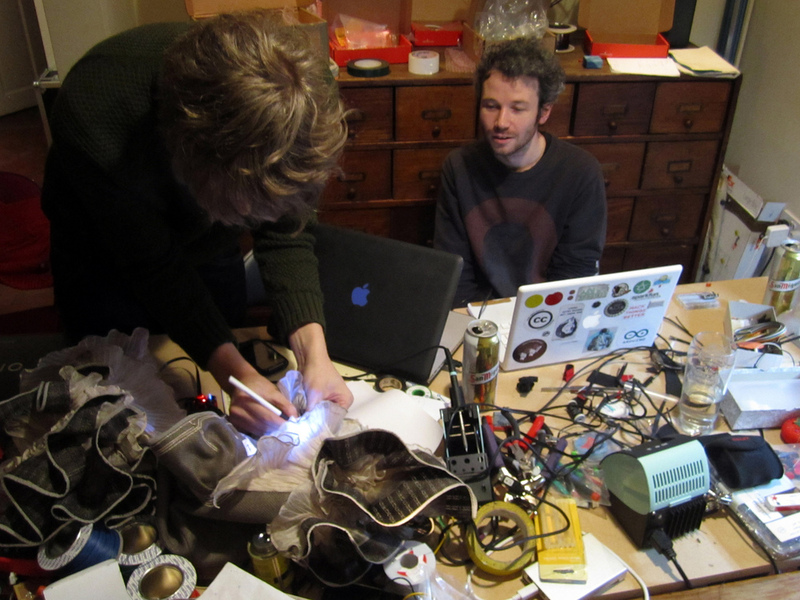 This project was a collaboration between Rachel Freire (eTextiles, circuit design, fabric design and realisation), Hannah Perner-Wilson (eTextiles, circuit design, micro-controller integration) and Tom Mitchell and Seb Madgwick (coding and integration into mi.mu glove system). 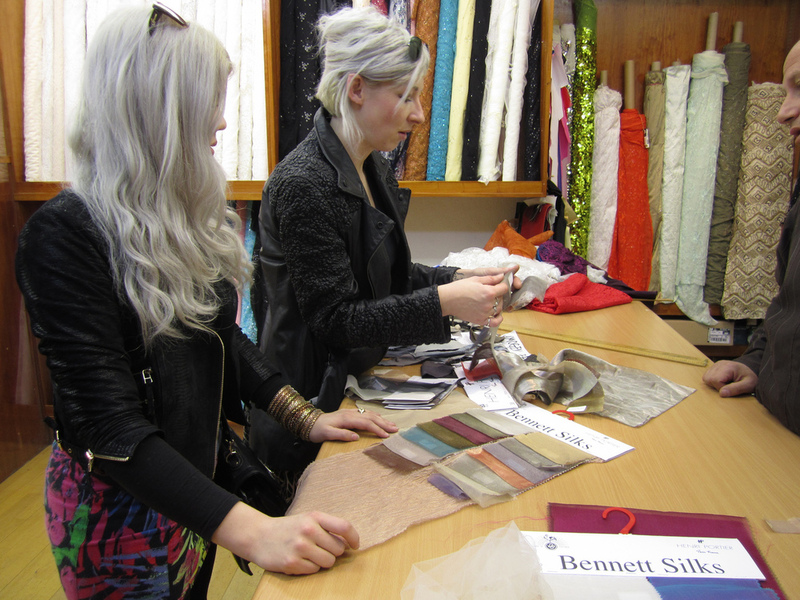 Assistants on the project: Annike Flo, Rebecca Elley, Robyn Taggart. Lightpainting photography by Aurora Crowley.